There will be articles posted on this blog written by others. I am unable to change “Written by” on the post. I will always give credit to the author and/or include a citation . I have had one of my writings misused by another. It’s an awful violation, especially when a person makes changes to it that can be quite insulting. Hello and welcome to my blog. My name is Michelle Matthews. I am a retired Army paralegal. Today I work from home in the gift basket industry. I am an independent contractor for LaBella Baskets. Labella Baskets is an online gift basket store. 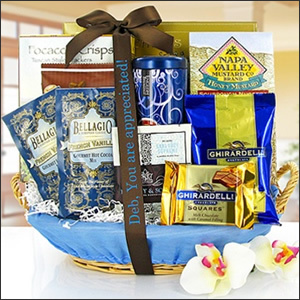 We offer designer gift baskets, fresh flowers, personalized cookie bouquets, and many other gift products. LaBella Baskets (and so do I) believe in the spirit of giving. Everytime someone buys a LaBella Basket a portion of the proceeds goes into the company’s “Basket of Hope” program. The Basket of Hope program delivers a basket of essentials to single moms who are struggle. This blog is dedicated to writings about anything gift related, to include occasions for gift giving, but I will welcome other writings entrepreneurial, spiritual, or otherwise uplifting in nature. National Pharmacist Day is celebrated on January 12th in the United States. It is a day set aside to honor the men and women who play an important role in our healthcare. A pharmacist has knowledge of the chemical makeup of all medicines. When you pickup your prescription your pharmacist will provide a verbal or printed explanation of all the aspects of the prescribed medicine(s), including possible side-effects, and the inter-action of drugs taken together. Sometimes people see more than one doctor for various health concerns, and one doctor may not know what the other has prescribed. In addition to monitoring for drug interactions between prescribed medications, if known, they can monitor interaction of over the counter medicines, vitamins and supplements. A pharmacist is as valuable to the doctor as he or she is to the patient. Pharmacist can catch errors and prevent errors from occurring. Among other things, they can educate a diabetic patient about their diabetes and help them to develop a plan; this may not require a prescription. They can run an anticoagulation clinic to evaluate how a patient might be doing on a blood thinner, like Coumadin (a pill) or Lovenox (an injection). They can evaluate medications a patient may be on and help to determine if any changes can be made to save the patient money and improve their medical outcomes. They can also help patients find programs to assist them when they cannot afford their medications. The role of the pharmacist is a far cry from just a person and a white lab coat, standing behind the counter counting pills. National Pharmacist Day is not a true “National” day; the day has not been declared by Congress. It is believed that the day was created by a pharmacist group. There is still study going on to find that group. Nevertheless, National Pharmacist Day is about honoring our pharmacist healthcare providers, a time to recognize the important job that they do, a time to say “Thank You” the words that they probably don’t hear often enough.